Starting the first Sunday of Advent 2016, Liguori eBulletins have a new look, new content and a new name, Our Parish Community, making your parish the focal point. Our Parish Community features Scripture reflections by Fr. Mark Haydu, LC author of Meditations on Vatican Art and Meditations on Vatican Art: Angels, along with exclusive photos of art from the Vatican. Fr. Haydu is the national chaplain of the Lumen Institute. He also serves as special advisor to the international director of the Patrons of the Arts in the Vatican Museums, a position in which he previously served. Fr. Haydu offers an expertise in spiritual direction and in the Ignatian Spiritual Exercises, in addition to his 20-plus years of communicating faith through art and images. He holds a bachelor degree and licentiate degree in both Theology and Philosophy from the Pontifical Athenaeum Regina Apostolorum in Rome. Liguori eBulletins offer great flexibility. The flipbooks are easily accessible with the ability to download PDF's which can be converted to any file type that you need. Liguori Publications receives an imprimatur for its Our Parish Community eBulletins, you may not edit or otherwise change the content without written permission from us in advance. 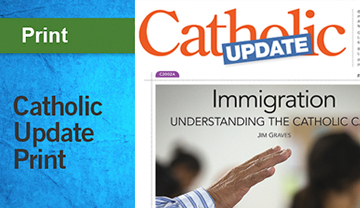 Liguori grants your parish the right to use our content; our content may not be shared with other parishes. By downloading the digital content, you agree to the Terms and Conditions of this product. Click here to sample the free filler library. 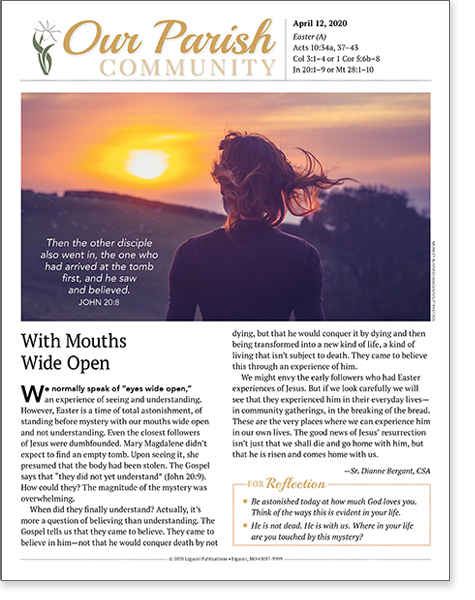 Print the fully designed Sunday reflection or Dear Padre right from the website. Place the preformatted articles (4 different sizes and shapes) directly in your bulletin layout, adjusting to the size or shape that works best for you. 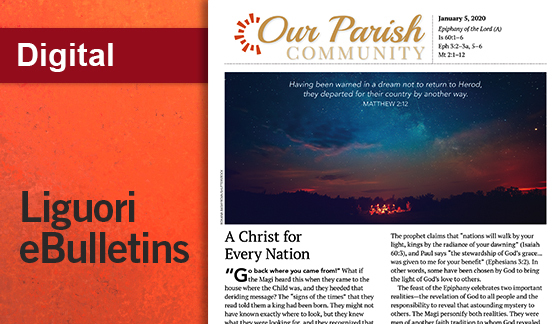 Share Liguori eBulletins on your website or through your parish email. Liguori eBulletins include bonus free bulletin inserts for special occasions, feast days, and other important topics like family prayer. Access the PDF-to-JPG Conversion Tool. Instructions for use can be found in the "Help and How To" document. 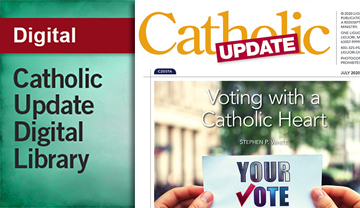 For digital subscriptions including Liguori eBulletins, payment is due at time of purchase. If you have questions or need assistance, please contact customer service at 1-800-325-9521 or send an e-mail to subscriptions@liguori.org. 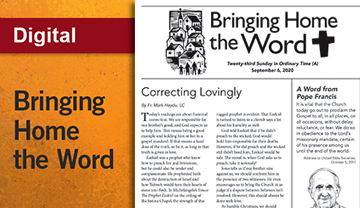 Click here for information about subscribing to print bulletins, including Explaining God's Word and Good News Weekly. You must be logged in to post a review. Click here to login. "; //htmlString += " "; htmlString += "
" + timeago + "
" + objReview[i].Review + "